The news focuses on the inflexible working hours for men which will give negative impact on the women careers. In the present era, it has been seen that there are companies who allow men flexible social work hours so that it can be easy to them to maintain work life balance. Also the companies emphasize on giving parental leaves as there are many fathers who look to share the care to their children. This news will help to depict the flexible working hours for men so that they can spend some time with their families according to Niki Vincent who is the South Australian commissioner, stated that to take care on the lion share of parenting is also considered as one of the barrier to women who are returning to work. Also there are men who believe to work in the companies where there are flexible working hours as it helps to motivate the employees to give their best towards the activities of the company. Nowadays people are more concerned in maintaining their work life balance so that it can be easy for them to maintain their child. There are many companies who make the policies related to flexible hours for women but they have the issue with men. They believe that women should be offered flexible hours but they do not consider in reference to men’s. Also in this the emphasis is given on the pay gap in which it has been discussed that the national pay gap sits at 14.6 % which translates to men earning on the overall average of $244.80 per week. Also it has been seen stated that of men can give more time of primary caregiving then it will affect the overall pay gap. In the present scenario, it has been seen that women move to the leadership roles which can be considered as the big impact on the men and women. There are various examples which are given. The examples are related to Rick Breumelhof who works as the manager at Deloitte and he was able to take four months of parental leave when his daughter Georgia was almost a year old and his wife was in the profession of teaching. Also the next real example relates to the Graham Eacott who was able to take create for the four months and he was given paternity leave at the time of working with WA Government in Perth. In this example it has been stated that he worked for three days a week and his wife worked for full time (Eacott, 2018). In this news one of the best line is "If you've decided to take the step to have kids, why wouldn't you want to spend more time with them if given the choice?" This line states the meaning and it has been examined that if you have taken the decision to have kids then you should also spend time with your kids if choice is given to you. So, this line states that it is important to give time to your kids as equal the time given at job. Fathers are the one who can take care of their kids and they should be provided parental leaves so that they can manage their work with their kids. Also it has been examined that parental is a shared role. In this the example of Victoria MacKirdy is stated. In this it has been stated that she was on maternity leave when the opportunity to be the general manager arises and it was for full time. According to her these types of jobs doesn’t comes on the regular basis so she wanted to take it (Eacott, 2018). So, her husband Hamish took the decision to work part time and allowed her wife to grab the opportunity. Hamish was doing his own practice as physio so he was able to cut down the working hours and he took the role of parenting. So, by analyzing the overall situation she stated that companies should also emphasize on giving permission to the men to work for part time at the time of taking care of their kids. Also, according to the news it has been stated that parenting is considered as the shared role and there are men who want to give support to their partners (Eacott, 2018). In this news the issue which is present relates to flexible hours that should be provided to men or not. The problem statement relates to “flexible hours should be provided to men or not and also it relates with the career of the women”. It has been seen that it is considered as the major issue in which it can be difficult to describe the role of men and women in the parental role. It is examined that both parents are important for the child and also they plays a separate role in the life of an individual. It is important for the parents to give proper time to their child. But in the bust schedule of people it has been seen that people are not able to maintain their work life balance. In this context it has also been seen that there are companies who have the policies related to parental leaves for women but they don’t have it for the men. There are only few companies who are providing parental leaves to men. Also the issue relates to the working hours and it has been examined that men are not given an opportunity to work in the flexible shift hours (Wadhwa & Shetty, 2017). In the present scenario it has been seen that due to the lack of inflexible working hours of men the negative affect can also been seen on the career of the women. In this case it has been analyzed that women have to leave the opportunity related to job just because they want to take care of their child. So, it can affect the career of the women in the negative manner (Marchington, Wilkinson, Donnelly & Kynighou, 2016). This issue can be resolved if various concepts and theories are taken into consideration. If companies do not give flexible hours just because they think that negative impact can be seen on the overall activities. Then it is important for the company to take into consideration the concept related to compensation. Compensation theory emphasizes on the efforts to consider the negative experiences in one domain and it can also consider the increased efforts for positive experience in the next domain. There are two types of compensation one is related to supplemental and reactive. Supplemental compensation takes place when the positive experience is not sufficient at work and it is pursued at home. Reactive compensation takes place when negative work experiences are considered for positive home experiences (Brewster, Chung & Sparrow, 2016). In context to this theory, it has been investigated that there is opposite relation between work and life. So, in this context it is important for the companies to take into consideration this theory so that the individual can give best towards the overall activities of the company. It is important for the company to manage the entire activities so that it can be easy to achieve growth in the competitive market. Also it has been seen that COR theory approach is the best approach which relates to the issue. In this transfer of resources takes place from one domain to another as it has been seen that resources are limited like time, money and attention. Resources can be shifted to the next domain which can also relate to the family and personal pursuits (Deery & Jago, 2015). So, according to the case, it is important for the company to manage the issue by providing flexible timings to the men. Men also play an important part in managing the overall activities of the family. By analyzing the entire case it has been recommended that companies to make the policies related to flexible working hours for the men so that it can be easy to have work life balance. It has been seen that in the present scenario, people are more towards taking care of their family with their job. So, to enhance the overall efficiency it is important for the companies to focus on managing or giving flexible hours to men so that both parent’s men and women can manage the family. It is also important for the companies to make policies in which it can be optional for the men to take parental leaves. In the case it has been seen that men should be offered an opportunity of flexible hours but it should be done by analyzing the situation. It has also been recommended that companies should emphasize on focusing on the flexible hours only when both men and women are working as it can help to manage the activities. There are many people who misuse these types of opportunities so in this case it is important for the company to implement same policies which are given to women. So, it has been concluded that inflexible working hour of men will give negative impact on the women careers. The issue which is discussed in this report is “flexible hours should be provided to men or not and also it relates with the career of the women”. It is important to minimize these issues by focusing on the theories and concepts related to compensation and COR. It can help to maintain the entire activities of the company and can also help the individuals to have riper work life balance. So, it has also been recommended that companies should provide flexible working hours to the men. 1. Armstrong, M., & Taylor, S. (2014). Armstrong's handbook of human resource management practice. Kogan Page Publishers. 2. Brewster, C., Chung, C., & Sparrow, P. (2016). 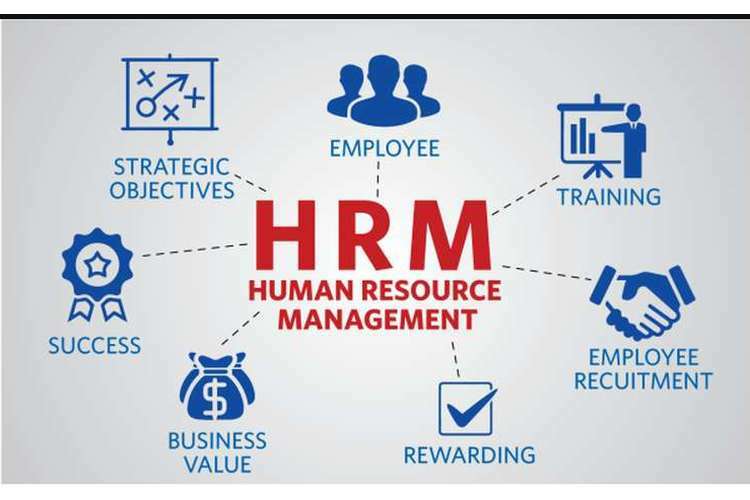 Globalizing human resource management. Routledge. 3. Deery, M., & Jago, L. (2015). Revisiting talent management, work-life balance and retention strategies. International Journal of Contemporary Hospitality Management, 27(3), 453-472. 5. Marchington, M., Wilkinson, A., Donnelly, R., & Kynighou, A. (2016). Human resource management at work. Kogan Page Publishers.